Well done,someone who REALLY cares ,you are an absolute HERO and I salute you. This letter is awesome; I learned a lot from it. Thank you Lewis for all you have done to raise awareness about the threat to our Oceans. Love the positive ways you engage and pave the way to help nations preserve them for future generations! London taxi drivers have a wonderful name for the crossroads outside the Royal Geographical Society. They call it the ‘hot and cold corner’, because of two statues standing there: one depicts Sir Ernest Shackleton, who undertook three expeditions to the icy Antarctic, the other is Dr David Livingstone, who mapped the sweltering African hinterlands. Both men were iconic explorers, and both were childhood heroes of mine. I used to love to pore over maps with my father who encouraged my early interest in exploration. 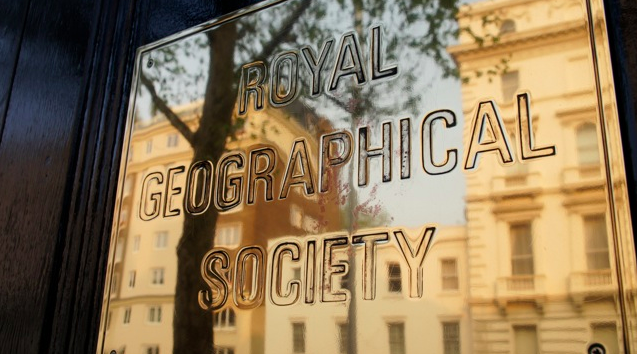 So you can imagine my delight whenever I visit the Royal Geographical Society. To enter this institution is to step into history. Through the entrance hall you pass impressive oil paintings of all the great British explorers. But when I visited the Society last month, it wasn’t to honour them. 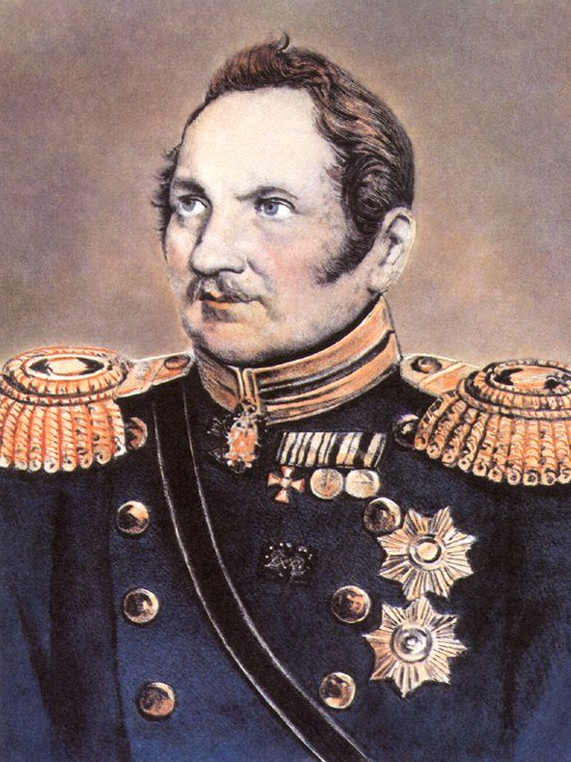 It was to get closer to a pioneer I hadn’t learnt about as a child: the Russian Admiral Bellingshausen. Earlier this year, I dove headfirst into the Bellingshausen Sea off Antarctica – not an easy undertaking in just a Speedo swimming costume, with water temperatures below 0°C. But I had a good reason; it was the last of three pioneering swims I undertook to wake the world to the urgent need to protect the seas around Antarctica. Admiral Bellingshausen was the first person to set eyes on Antarctica, on the 27 January 1820. Having just had a rather bracing acquaintance with the sea that bears his name, I wanted to find out more about the man. Which is how I came to be in the Royal Geographical Society archives, to examine a very rare book: an original copy of Bellingshausen’s autobiography. He described how he set off to find “the unknown land of the South” in a 40-metre ship called the Vostok with a crew of 117 sailors. On this epic voyage, in which he circumnavigated Antarctica, Bellingshausen sailed into uncharted waters, weathering terrifying storms and negotiating huge fields of icebergs. Bellingshausen explained how sometimes great sheets of ice built up on the sails, and then fell onto the decks below, narrowly missing his crew. I couldn’t help but think how different his voyage was from my own trip to Antarctica, two centuries later. We sailed in an ice-strengthened Dutch ship, with powerful engines, advanced communications and satellite navigation. Even so, there were times when our voyage felt perilous. If you accidently hit an iceberg at speed it can easily put a hole in your vessel. I could barely imagine navigating those waters, without charts, guided by little more than a sextant and the stars! Alongside the words in Bellingshausen’s book were beautiful drawings of Antarctic landscapes and wildlife. There were penguins and seals and whales. At the front was a severed edge where a page had been cut from the book. When I questioned the librarian he brought me the missing page: a thin map of the Southern Ocean. When he laid it out on the table, two things struck me about the map. First, even though the other continents were all there, there was just an open area of sea where Antarctica should have been. At the time, no one even knew Antarctica existed. They were sailing into the unknown. Secondly, there were tiny pinholes in every corner. “British explorers would have consulted this map. They came here to plan their expeditions,” the librarian explained. “These holes were probably made when they pinned it to the wall.” I realised that this very map could have been one that Sir James Ross or Captain Scott or Sir Ernest Shackleton used when they planned their own Antarctic trips. Those pioneers, my childhood heroes, would not have been able to do what they did without the help of Bellingshausen. Just as Bellingshausen himself relied on earlier charts made by Captain Cook. Each followed in the footsteps of one who went before, and cleared the path for one to follow after. I was in my mid twenties when I realised I wanted to be a pioneer swimmer. I wanted to swim across seas and around capes that no one had dreamed of rounding before. I wanted to swim in water so cold that no one thought it was possible to survive. I also would not have been able to do these things without pioneers like Bellingshausen. In doing my swims I developed a deep respect for the oceans and everything that lives in them. I’ve also witnessed the changes that ring alarm bells about our oceans’ future. Which is why I am appealing to you now. Your country has a distinguished history in Antarctica. Five of the 13 seas around the continent are named after Russian explorers. There are 9 Russian scientific bases in Antarctica – more than any other nation. And fittingly, one of your bases is named Vostok, after Bellingshausen’s ship. Recently I met with Sergey Shoygu, your Minister of Defence, and Artur Chillingarov, your senior advisor of polar affairs. They shared with me the crucial work, which your scientists are doing in Antarctica today. They explained that they are collecting valuable ice records of Earth’s climate through past millennia, which will enable policy makers around the world to make key decisions on how to protect our environment. Those records show us how our climate is changing rapidly now, in relation to natural changes in the past. Human forces are depleting resources and reshaping our planet. 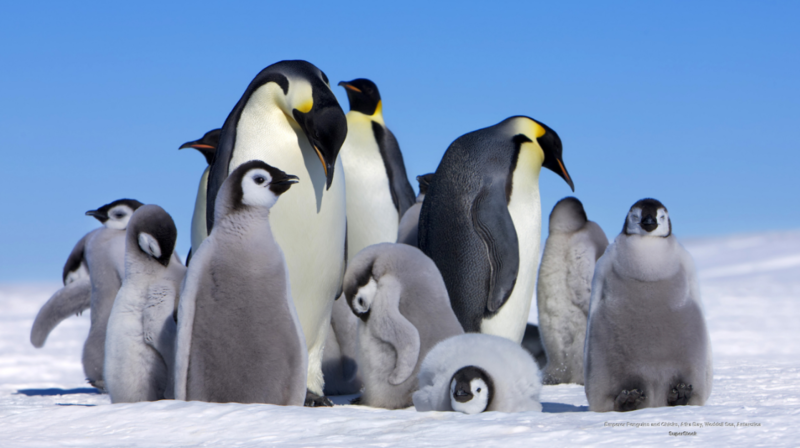 The seas around Antarctica represent our least unspoiled marine wilderness, which is why it is so imperative to protect these areas from the kind of industrial overfishing that is stripping every ocean, even the Southern Ocean, of apex predators. Without apex predators, marine ecosystems collapse – yet still apex species like the Antarctic toothfish are being caught and served in top restaurants in London and New York. In the months since my swims in Antarctica, I’ve travelled around the world, meeting leaders and decision makers and urging them to start by protecting the Ross Sea, the first in a network of protected areas around the continent. We are very close to success. Your country is currently chairing CCAMLR, the body that makes internationally binding decisions in Antarctic waters. Your country holds the final key to unlocking this landmark event. Which is why I am calling on Russia to be pioneers once again, by setting aside the Ross Sea, and preserving its biodiversity. Unless we safeguard our wilderness areas, they will be gone forever. When that happens, we don’t just lose our natural resources. And we don’t just lose something crucial for science. We lose something vital and precious inside ourselves. Your country is coming up to the 200-year anniversary of its discovery of Antarctica. What more fitting way to commemorate Russian exploration and science than to secure the seas around Antarctica and all that live in them, for generations to come? We are travelling into a future without charts, in the same way that Admiral Bellingshausen set off into unknown seas. I urge you to act with wise foresight, fully understanding your potential to shape a positive future for our world and to pioneer a new age of international cooperation. If the countries of the world work together, sharing our knowledge and protecting our precious resources for the benefit of all, our children and grandchildren will be able look back proudly, and thank us for doing a very great thing.